Climate change has been viewed as one of the biggest growing problems that are continuing to cause danger and raise risk for global society. Factors such as greenhouse gas emissions are considered to be the harmful aftermath of continuous industrial work and excessive automobile use, that generates CO2 and causes the environment to accumulate heat. Apart from the fact that toxic gas emissions do take a tremendous toll on the health of animals, plants, and humans, a few data sources indicate that the overall impact of this doesn’t just reside in the cities or countries that have the biggest levels of carbon emission. 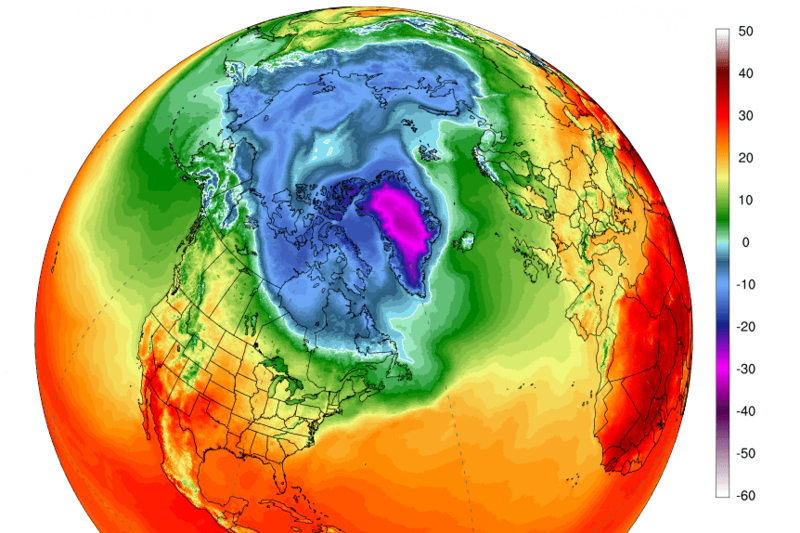 The produced heat also reaches the north pole, where continuous snow and cold temperatures are vital in order for the species that reside in these low-temperature environments to survive. Despite all of these negative consequences that are present globally, let’s talk about some of the oldest and most important industries of all – the agriculture industry. When it comes to farming, global warming and climate change have the biggest impact on it because professional growers and the quantity of their yield is directly dependent on the soil, which again, is dependent on the environment. Due to climate change, yield loss will be an impossible outcome to avoid. Due to rising heat levels, water sources are bound to experience a reduction in their ability to supplement farm fields with moisture, resulting in the lack of it in the plants and soil. Because of this, the chance of plants getting killed from intense heat will increase by 30-40% depending on how severe global heating will be. Due to this daunting but very real possibility, farmers will be forced to innovate and/or raise food prices to make up for the financial loses they will experience. Due to intensive heat radiation and decreased levels of moisture in the ground and air, the soil will become drier and less nutritious. If that will be the reality we are bringing to humanity, land will become an even more valuable resource as less of it will be suitable for planting and crop cultivation. Considering the fact that the demands for food are growing due to a rapidly growing population and that the supply of land is limited, there are good reasons to believe that we will be faced with a global crisis for food as our main and current methods of sustaining the planet will eventually become incapable of doing so. If the second outcome will come into fruition, to keep up with the quotas of food production, farmers will be forced to use more pesticides, synthetic fertilizers and artificial farming methods to deal with the hard circumstances of growing food naturally.